A Wise Move or Just a Publicity Stunt? According to numerous sources, the winner who won a whopping $50 million on the Lotto Max is fighting hard to remain anonymous and has not been named anywhere so far. 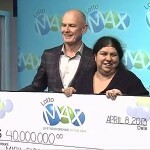 The draw of the winning Lotto Max jackpot was held on the 16th of March 2014, and after winning, the winner did not want to be identified in any way possible. Surprisingly a clear statement by the B.C. Lottery Corp. mentions that anyone buying the ticket must provide their name and photo as this would need to be published before the winner collects a prize. But despite the statement, the anonymous winner has contacted a lawyer and is more than prepared to fight for anonymity in the courts. On the B.C. Lottery Corp website it is clearly stated that, “the Corp. has no obligation to pay or deliver a prize” if the winner fails to comply with their rules and regulations. This means that the winner will be entitled to possession of the winning ticket if he or she agrees to have his or her name, address, place of residence and recent photograph taken. 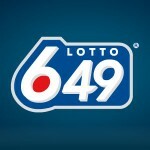 According to BCLC spokeswoman Laura Piva-Babcock, the reason the company asks for identification is to protect the integrity of gaming and lotteries by being open and transparent. 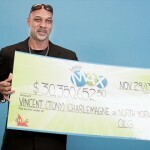 Although the Lotto Max winner of $50 million has come forward to claim the prize by providing an authentic ticket, the process of verifying the rightful owner is still in process. Although the BCLC has accepted anonymity requests in the past, it is very, very rare said Piva-Babcock, and these exceptions were made on a case-by-case basis, she concluded. 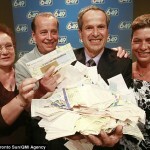 Any Canadian lottery corporation doesn’t allow anonymity for its winners, but in 2007 Loto-Quebec temporarily suspended the requirement for winners of amounts over $4 million to be publicly identified because of the risk prevailing the winners’ lives. In the USA, six states – Delaware, Kansas, Maryland, North Dakota, Ohio and South Carolina – allow winners to remain anonymous. According to Lotto.net, in Europe you can opt to remain anonymous, but the pressure that builds on the lottery winners is just too huge to bear. While some lottery winners think that it’s better to go public so it’s done with and people will forget than be anonymous and mysterious, while others think that going public means they’re single-handedly inviting begging letters and pressure donations. What do you think is a smart move forward? Remain anonymous or go public? Share your thoughts with us!